Here in southern Illinois, we lay claim to having the home of Superman. The small town of Metropolis pays homage to the Man of Steel every year with the Superman Celebration. The event draws thousands to the area, so I figured I'd tie wrestling and superheroes together for this post. 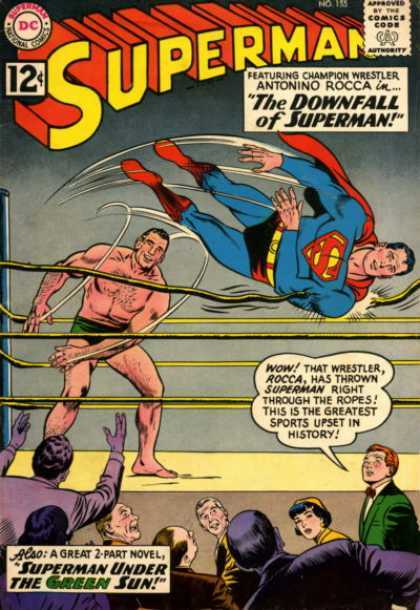 In August 1962, Antonino Rocca appeared on the cover of a Superman comic book. As you can see from the picture, the WWE Hall of Famer is having his way with the Man of Steel. I think Jimmy Olsen's assessment of the situation wraps it up best. Don't mess with a wrestler. The issue is titled "The Downfall of Superman" but 50 years later, the superhero is still among us, so consider that a spoiler alert I suppose if you're going to check out this particular issue. 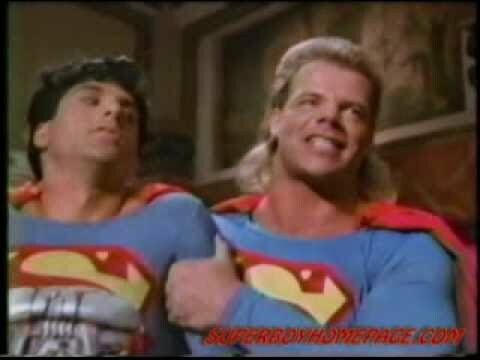 It turns out that Rocca and Superman are allies and take on the evil doers of Metropolis. You may also remember R-Truth, well Ron Killings actually, being referred to as the "Suntan Superman" in TNA. This was when he was a part of 3Live Kru with B.G. James (the Road Dogg) and Konnan. 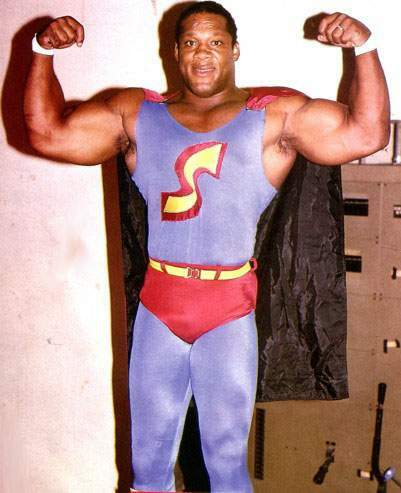 I don't think the gimmick went any further than the nickname, as I can't find any pics of Killings in blue tights or a cape. 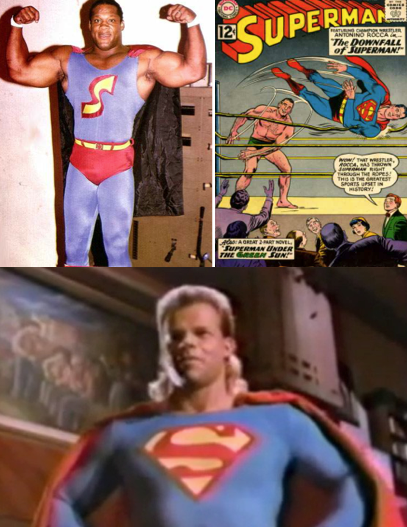 These are just a few of the ties to Superman I could find in the world of professional wrestling. I'm sure there are more. I know there are plenty of wrestlers who have paid tribute to other comic book icons, like Rey Mysterio and his different costumes. Then of course there's the old tag team "Super Heroes In Training" Rosie and the Hurricane. And I think the WWE tried to model the Blue Blazer after a superhero in the early days of the gimmick, before bringing him back in the late 1990's to mock Hulk Hogan. There's plenty more to write about. Enjoy this for now and thanks for reading. Please be sure to subscribe to My 1-2-3 Cents over on YouTube.